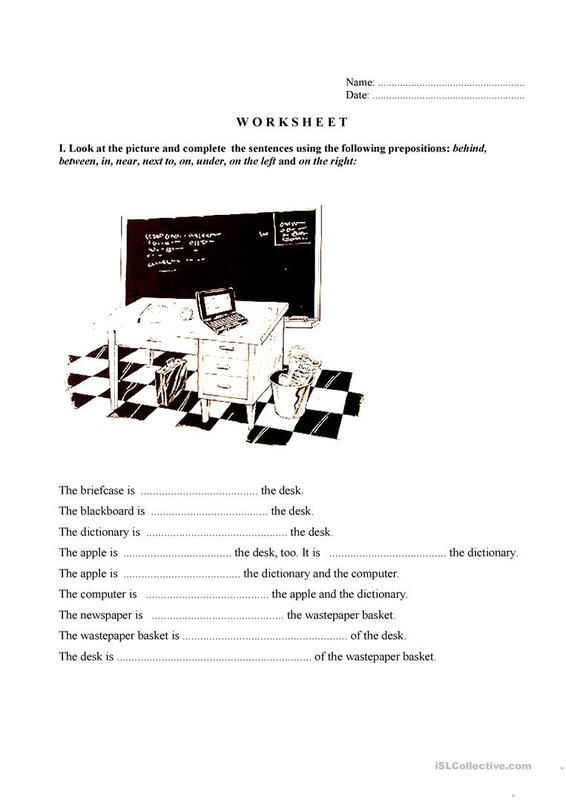 It is a fill in exercise in which students look at the picture and based on this they fill in the sentences with the correct preposition. This downloadable worksheet was created for elementary school students at Elementary (A1) level. It is aimed at teaching Prepositions in English, and is useful for developing your students' Writing skills. aaana is from/lives in Romania and has been a member of iSLCollective since 2012-03-23 11:56:08. aaana last logged in on 2019-04-19 15:43:04, and has shared 1 resources on iSLCollective so far.